While I was born in the north, I was raised in the south. I have lived the majority of my life in the south. In the south we are really good at Barbecue. In the south Barbecue is an art and we fight over who has the best Barbecue around. Let, me clarify, we are not talking about cooking up some burgers on your grill. That is grilling. Each region has their own type of Barbecue, some regions it is all about Beef while others Pork. The sauce that is used varies from region to region. Carolina, Georgia, Texas we are all different. Ribs are included in this southern art. Ribs can be smoked, slow cooked on your grill, oven baked and even fried. Yes Fried! Another speciality of the south. Fried Chicken, Country Fried Steak, Hush Puppies…. have you been to a state fair in the south? If you have then you probably know of the love of fried foods in the south. So why not? Country Fried Ribs, this sounds good. Add to your ribs a zesty buttermilk ranch dressing for dipping. I think we have a match that may be made in heaven. 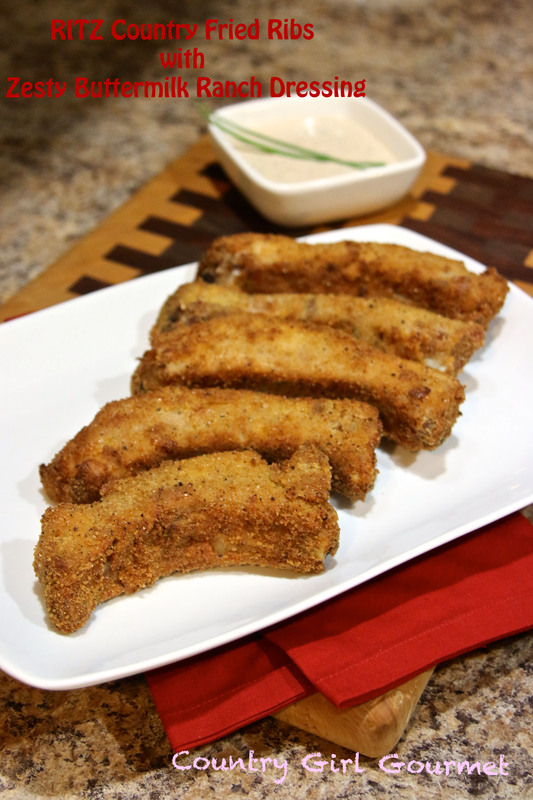 My family fell in love with these RITZ Country Fried Rib’s with Buttermilk Ranch Dressing. 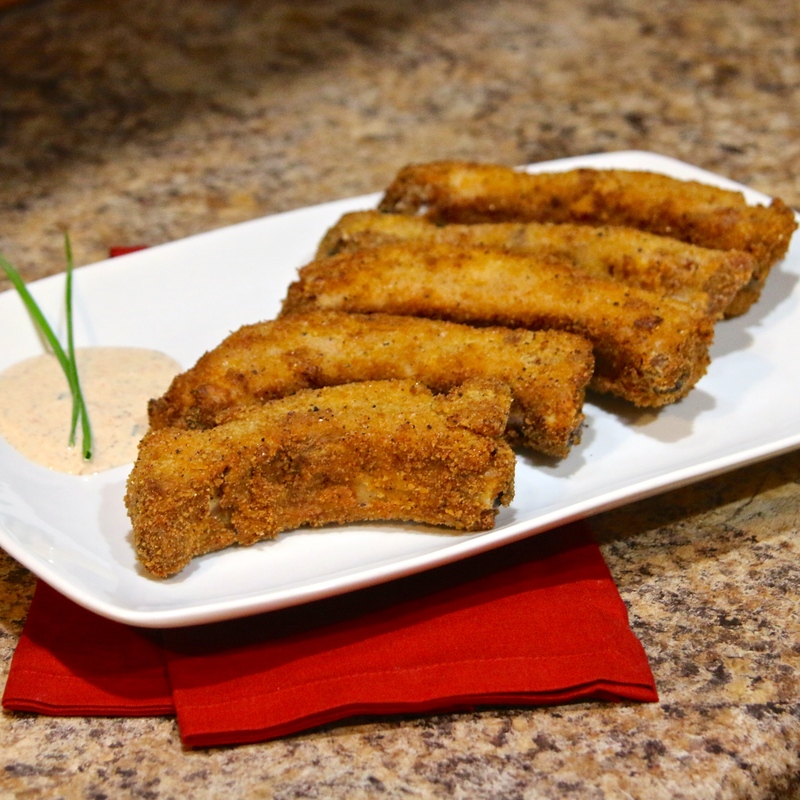 These ribs are the perfect appetizer for game day or any time you are looking for an awesome appetizer to wow your friends. Add to the ribs a homemade Zesty Buttermilk Ranch Dressing that is quick and easy to make. This recipe is a winner and is waiting for you to make it! Put a wire rack over a shallow baking pan and pour 1 cup of water into the pan. Season the ribs with a pinch of salt and pepper. Place the ribs on rack, meaty side up. Slide them into the oven and roast slowly. Check every hour or so for doneness. Roast until you can gently tear the meat between the bones, or they reach an internal temperature of 180 degrees F, about 2½ to 3 hours. Remove from oven and set aside to cool completely. Heat oil in deep 9-inch skillet to 350 degrees F. Place ribs meat side down into hot oil (ribs should be about ¾ covered). Fry in batches, being careful not to overcrowd pan as this will bring down the oil temperature. Cook approximately 1½ to 2 minutes until ribs are crispy and golden brown. Remove ribs from pan; drain on paper towels. 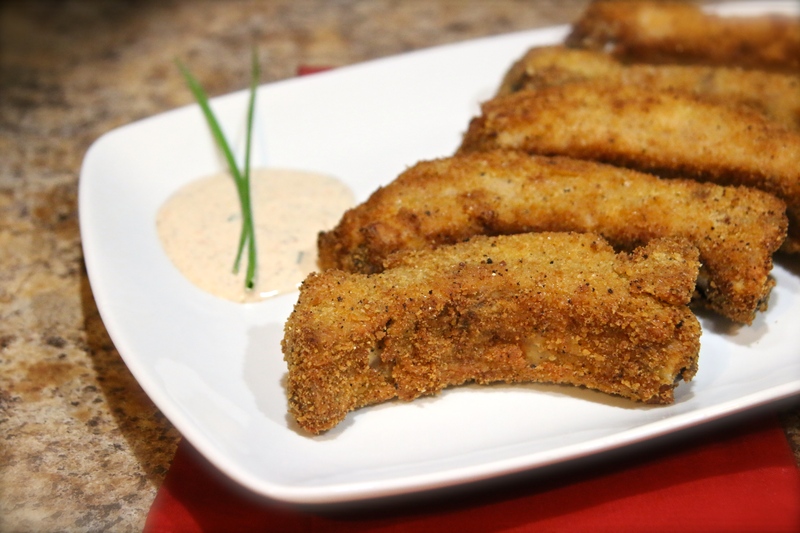 Going to add these to my Super Bowl party menu! thanks for sharing. I was wanting to see if you send recipes out to emails?